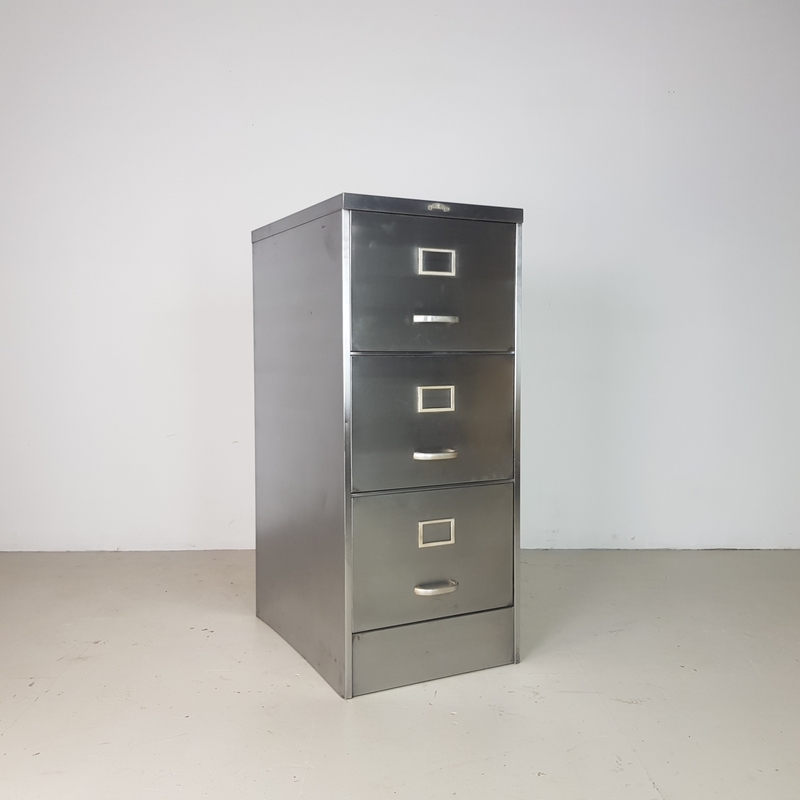 Vintage midcentury stripped and polished steel 3 drawer filing cabinet. With high sides, meaning that it fits modern filing systems. The interior is in its original finish. As it's a vintage piece, coming from a working environment, there are signs of wear and tear - a few scratches, scuffs, spots of surface rust and bumps, but nothing major and nothing which detracts. There is a lock but no key currently, although one could be cut if so desired.